St. Louis Public Library, Barr branch: 1701 S. Jefferson Ave.
Children will learn about St. Louis native Josephine Baker and her involvement in World War II as a spy for France. St. Louis Public Library, Schlafly branch: 225 N. Euclid Ave. Create your own instruments to celebrate the 100th anniversary of the Harlem Hellfighters Regimental Band. This annual event by Associated Black Collegians showcases high school and middle school step teams competing. Tickets are $7 in advance, $10 the day of the show. Steve Pona, founder of the St. Louis Baseball Historical Society, will dig deep into the history of black baseball in St. Louis to present a sweeping view of the city through the lens of one of its most important industries. KDHX, ArchCity Defenders, and Maverick Media Group present an exclusive screening of Ferguson 365, and Q&A with filmmaker Chris Phillips and ArchCity’s Executive Director Blake Strode about the underlying and unlawful policies and practices in St. Louis that not only devastated thousands of families but sparked an ongoing movement for civil rights. 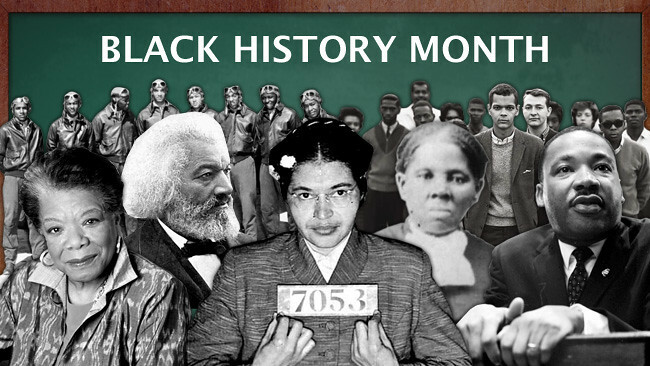 PBS Black History Month Line Up – Tune in all month long on 9 PBS for documentaries, performances, and special programs celebrating black history. Consider joining We Stories May cohort by signing up now!